Sean Hannity came out full force to slam Republican Speaker of the House John Boehner as a turncoat traitor to Republicans and said that he should be immediately replaced as Speaker. Last Thursday, Speaker Boehner presided over the passage in the House of a budget that pays for Obama’s amnesty, gives illegals Social Security benefits, and fully funds Obamacare despite the will of the voters. 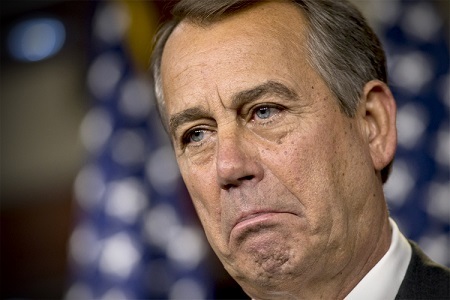 Boehner has certainly betrayed the voters that just gave the GOP a landslide victory.